The ultimate gift for the 9-5 sophisticated gent. 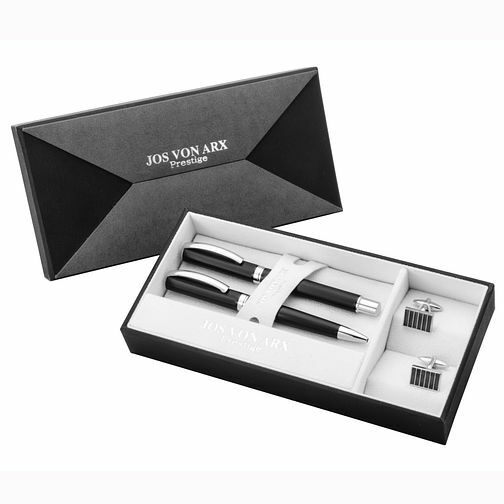 This Jos Von Arx set features two ball point pens in a sleek black design with silver accents. The square cufflinks are a flawless match - patterned with clean silver lines, they’re an elegant way to spruce up your office suit.